After stellar stops in Orlando, London, and Sydney, the Halo World Championship tour heads to the home of one of Halo’s most passionate fanbases – Mexico City. 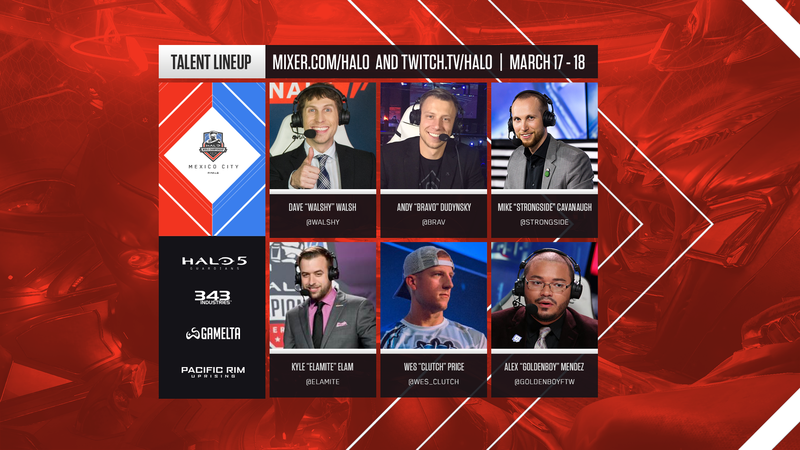 The region’s best teams and players will descend upon the Corona Forum with only the last squad standing punching their ticket to the HaloWC Finals in Seattle on April 13-15. After a successful partnership with Halo esports in 2017, we’re excited to be with teaming up with Gamelta for the HaloWC Mexico City Finals. Gamelta provides an absolutely amazing spectacle for both audience members and players alike, and we can’t wait to continue to support the amazing Latin American Halo community alongside them during what will surely be one of the most fiercely fought tournaments on the tour. Atomic Jorge brings us this outstanding event preview en español. 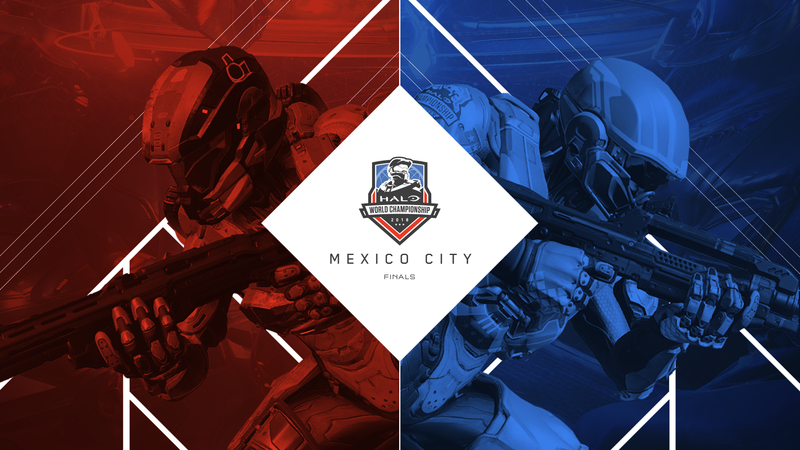 For in-depth information on event details, travel, registration, ticket sales, and more, make sure to head over to the official Event Hub at halo.gg/MexicoCity2018. We’ve got a fantastic viewing experience for fans all around the world, whether they are visiting the event in person or checking it out online on both Mixer and Twitch. And of course, we’ll have a top-flight lineup of incredible broadcast talent on hand to deliver every memorable moment in the tournament – in both English and Spanish. Check out the full roster below. The LATAM HaloWC 2018 Mexico City Finals is an open regional final, where any competing team from Latin America can register to play and taking the top spot will earn you a trip to the HaloWC Finals in Seattle. Like last year’s event, this tournament will feature an open, double elimination bracket. The event will be seeded based on online qualification points coming into the event. As with every open event in the HaloWC 2018 season, the Mexico City Finals will feature a $5,000 FFA tournament taking place all day on Saturday. The action from each FFA tournament throughout the season will culminate at the Halo 5 FFA @ HaloWC 2018 Finals in Seattle, WA on April 13-15 where 12 qualified players will duke it out for an additional $10,000. To help set the stage for some of the amazing storylines that will be on display this weekend in Mexico City, we’ve partnered with talented Halo community member Atomic Jorge, whose YouTube channel features some of the absolute best content for Latin American Halo fans anywhere, and provided the preview video featured above en Español. Heading up the sharp end of the field are two of Mexico’s top Halo squads, Shock the World and Infinity Gaming. Shock the World is undeniably a fan-favorite, despite recent roster shake-ups that left them without one of their most feared slayers: Tapping Buttons, a name heard plenty even in recent North American competition. However, while the squad might have some fresh new faces overall, what remains unchanged is the level of talent and skill. The lineup of Atzo, Pelubot, Drift and Magico know they have a reputation to uphold when they carry the STW banner, but each player is more than confident that this lineup is up to the task. Hot on their heels will be the talented lineup at Infinity Gaming. Their squad of Nasty Bullet, Nugget, Zauron, and Spartan Elioh are out to prove that they’re worth of a trip to Seattle come April, and know they’ll have to likely take down Shock the World to do just that. Pushing the frontrunners will also be the fearsome foursome of Dualitat, Gambino, Noble and Critical, who look to play a bit of a dark horse role in shaking up the top of the order this weekend. Joining the fray will be two very talented Colombian teams: Colombia Legends and Natural Killers, both of which have had very strong showings during the lead-up to the HaloWC 2018 Mexico City Finals, and both commanding a passionate fanbase ready to root them on back home. Overall, top players to keep an eye out for during the tournament will be Nasty Bullet, Drift, Atzo, Gambino, Dualitat, and Elioh – the latter a member of the Chosen Squad lineup that won the HaloWC 2016 LATAM qualifier and veteran on the HCS scene. For all the latest on the Halo Championship Series and the Halo World Championship, keep it locked to Halo.gg and follow @HCS, @MLG, and @Gamelta on Twitter. Open to teams in Australia and New Zealand, the HaloWC 2018 Sydney Finals featured a fantastic display of top Halo talent from the best teams in the region, all hoping to battle their way to a spot into the final two to earn a trip to Seattle. The event showcased outstanding team and individual performances alike, and proved that the rest of the world shouldn’t underestimate the potential danger posed by an Australian squad on a mission. It’s all over in Mexico! 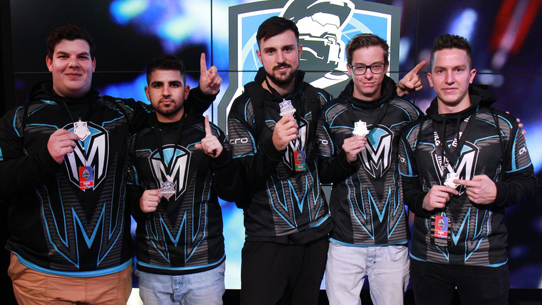 The HaloWC 2018 Mexico City Finals saw an intense weekend of tight competition between the finest squads in the Latin America region. 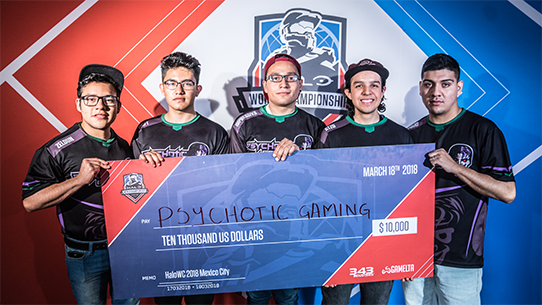 As the confetti began to fall, Psychotic Gaming proved to be the class of the field with their statement-making sweep of Infinity Gaming in Sunday’s Grand Finals. 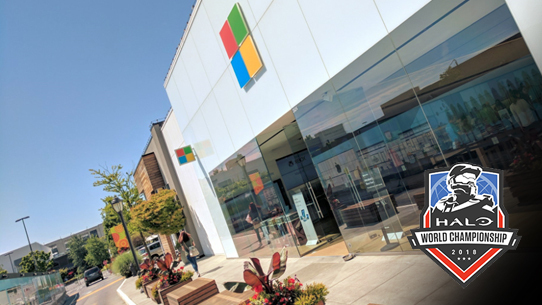 We're excited to announce an awesome free official viewing party hosted in the nearby Microsoft Store location at Easton Town Center for fans attending the HaloWC 2018 Columbus Finals on Friday, March 23!